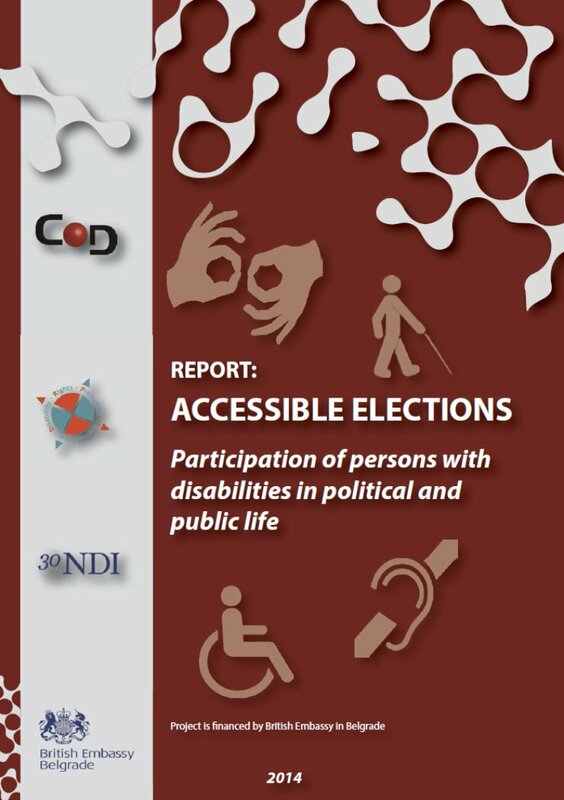 A report published by the Center for Society Orientation and supported by the National Democratic Institute and the British Embassy in Belgrade describes accessibility for persons with disabilities during the 2014 parliamentary elections. Several Serbian disability rights organizations contributed to the research, aush as the Mental Disability Rights Initiative of Serbia (MDRI-S) and the Creative Educational Center for People with Development Disabilities. The report discusses the right to vote for Serbians with disabilities and provides recommendations for increasing election access for all.